The Director's Chair: Got shoes? "Vote with your Feet." Got shoes? "Vote with your Feet." Give’em shoes and they’ll walk out on you. They did and we walked. Invited to the boss’s house to share in a British celebration of the 4th of July, I walked away with a redefined perspective of celebrating our American Independence Day. Americans celebrate their independence from the Brits. Conversely, the Brits celebrate their getting rid of us. Nearly fifty-one years old, ignorant of their divergent paradigm, I was caught off guard by this revelation; there are alternative perspectives to our individual realities. I’ll be honest, self indulgent as I am, the power of this truth was very difficult to appropriate. The blinding light of subjectivity steals away our clarity; our way of doing things is always the best way. Consequently, we clash head on with opposing belief systems; ergo the existence of competition with the victor’s beliefs prevailing over the oppositions. As Colonists, we fought for our belief in freedom; mother England was reaping where she had not sewn. Forced fed our belief system and taxed excessively, like beasts of burden we lived subject to the dictates of o ur absentee landlord. In the end, we kicked against the oppression and those from our homeland succumbed to our blows. Though, freedom was not without its costs; shed blood the cost of our new found reality. Celebrating independence is also about commemorating the lives laid down for our fresh plate of perspective. "Expanding the definition of “art” to include its myriad forms, it’s easy to claim that all human beings have a visceral “love” for art and its beauty. Art touches and us all in some way – and all different ways, whether it is the form of our favorite music, favorite book (or comic book even! ), our favorite movie, TV show, national monument, city hall building, or even that beloved rose bush in our garden. However, the art of experiencing painting and sculpture, unfortunately in my opinion, has been shaped and ultimately suppressed by an archaic “system” of distribution that all other of the art forms have broken through over time. In short, the arts of painting and sculpture have yet to be industrialized. Industrialization, through standardization, competition, marketing, digitization and finally personal device transformations, has put technology at our fingertips providing our eyes and ears with on-demand music, literature, movies, video, publishing, design, architecture, etc. etc. The aforementioned archaic system of controlling the distribution of painting and sculpture is the by-product of an “elitist club” composed of art museums, art critics and art galleries. Creating a restrictive current, a gauntlet, the “Old Boys” have wielded a controlling arm for the last 150 years or so. In describing the club’s effect on the consumer side, I need only to ask one question: on your journey to the other side, crossing through the gauntlet, have you ever felt intimidated by the process, was the experience good for you? Isn’t there weighing a heavy and governing “High brow” aesthetic about even going into an art museum or art gallery? Well, not at The Knapp Gallery. Our first goal is precisely the opposite of “The Club’s.” We seek only to bring artists and art lovers together as smoothly and possibly, expanding the scope, breadth and depth of both parties’ ability to reach each other. This is as it should be, for it is as it was many tens of thousands of years ago when humans lived in tribes and the artists among them painted onto their “living-room” cave walls where all members of the tribe could share and delight in their talents. In a way, the latter describes The Knapp Gallery’s second goal: we might not be able to change the whole wide world of art overnight, and obviously the “industrialization and personal digitization” of art and sculpture is taking its sweet time, so we’re going back to the future, so to speak. We are in effect taking on a “tribal” approach from our forbearers from those thousands of years ago, with “Philadelphia” as definition of our tribe. In effect, we’re here to allow Philadelphia artists to come paint on our walls, and sculpt in our room, and then to invite all Philadelphians to come share and delight with us in their talents. Exhibiting “world class” art at street level, just blocks away from the Philadelphia Art Museum in a town that acknowledges only mainstream status quo has its downside. Hard is the way gaining new voice - touting fresh perspective amidst the cacophony of tradition. While a significant contingency of Philadelphia painters are keen on our non-traditional proactive position, Philadelphia’s relentless ‘Old Guard’ remain staunch as arm chair dictates doling out their conventional diet of meat and potatoes. Ironically, in the “City of Independence,” known for its freedom-based nomenclature, we are stifled by a foreboding cloud of tradition. Presently, “Late Renoir” is showing at the Art Museum. Contrary to Knappian thinking, Philadelphia continues to rely on the dead guys to draw art-minded tourists into our city. The Philadelphia art community’s strength is not in its cohesiveness or even sense of community. It is sad to think that our reputation for having the county’s finest art schools is over shadowed by our world renowned Mural Arts Program. I am not bashing the Mural Arts Program. However, I am protesting a stranding that Philadelphia does not provide young artists a place to nurture their craft and carriers. I have awesome respect for Marian Locks and the Locks gallery, Philadelphia’s foremost non-museum based success story. Yet and still timing is everything. Marian Locks changed the landscape of the Philadelphia art scene, devoting her gallery completely for exhibiting contemporary artists, predominantly local and emerging talent. She too was a proponent of acknowledging the artist while they were still above ground. Now, as she is no longer with us, I am compelled to acknowledge and honor her”above-ground” breaking efforts. Unique to the Philadelphia Art community/Art School paradigm is the overbearing issue of post graduation attrition. While it is easy to point the finger at what is wrong, I have little tolerance for those not willing to develop and bring solutions to the table. Philadelphia is like a college town. At the end of school they go home or away to create a life. The Knapp Gallery, since its inception 5 years ago, has been a champion for emerging talent including the student artist. We have sought to edify the Philadelphia Art Community of its ample student and emerging artist contingency as a significant and pivotal resource. Our efforts are but one cog in the larger gear needed to redirect current post graduation relocation trends. In providing Grad Students a place to show their art, we hope to entice Philadelphia’s student contingency to remain and develop their careers. Minimizing attrition requires a radical and non–traditional remedy. Partnering with local Philadelphia business as venues to showcase Philadelphia-created art is a proposed and extended vehicle of this City-Wide call to arms. We propose that business partners with the Knapp Gallery, throughout the city, exhibit original MFA grad-student art work instead of imported and printed artwork. Lacking a concerted investment in their emerging and student artists, Philadelphia imports more art and artists than it promotes from within. Consequently, we lose the content of our “reputation” as home of the Country’s finest art schools. This missing content accounts for a significant weakening in the infrastructure of our Arts and Culture mechanism. Promoting a City-wide “Grad” student juried Art Exhibition/Competition acknowledges our Grad Student contingency as the missing component. Key to Barclay Knapp’s notion of “industrialization” is the component of competition. Competition ensures longevity. We are creating such a playing field for our MFA combatants. In June 2011, the Knapp Gallery is will host a City-Wide MFA Graduate Student Juried Exhibition/Contest. With quarter final, semi final and final round eliminations, the overall winning finalist earns their first post graduation solo show at The Knapp Gallery, a year supply of art materials and a partial living stipend. This high profile competition will afford Philadelphia’s grad students a high visibility opportunity to jumpstart and promote their careers. There are limited entry requirements, entrants must be enrolled in a Philadelphia-based MFA program and be willing to remain in Philadelphia to paint their “victory” body of work. In promoting such an endeavor, The Knapp Gallery acknowledges Philadelphia’s potential as a World Class “Fine Arts” Community. Unfortunately, New York City’s Art Community, because of its concentration of artists, career opportunities and unlimited exhibition spaces, monopolizes the lion’s share of the Mid-Atlantic Region’s art related visibility and notoriety. Conversely, Philadelphia, obscured in New York’s shadow, is known only for its concentration of the country’s finest Art Schools. Our post graduation attrition leaves us remotely barren and devoid of its growth potential. Philadelphia trains artists but lacks a suitable continuing support network to retain its student artists. At issue here is the notion of sustainability. Sustainability requires sowing the seeds of growth and nurturing these seedlings through to harvest. The Knapp Gallery believes a highly visible and publicized MFA graduate student juried exhibition/contest will spotlight and quantify the value of the student artist, while simultaneously calling attention to Philadelphia as a viable resource for quality Contemporary Art. A desired by-product of this promotional event is the nurturing, cultivating and creating of a plausible demand for Philadelphia-created art work. This is no small event or undertaking and requires a partner. 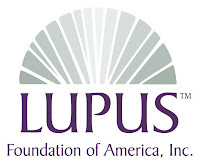 In choosing to side with the LUPUS Foundation of America (LFA), Philadelphia Chapter, we aim to demonstrate the severity of the state of affairs. Our partnering with LFA demonstrates the seriousness of this indictment. My choice of LFA was not random. Nearly 30 years ago, I lost my mother to Lupus. As a child, helpless, I watched Lupus rip my mother apart. Witnessing the negative effects and impact of attrition on the Philadelphia art community, I am reminded of the sickened sense of hopelessness I experienced as a child. However, I am now in a position do something. 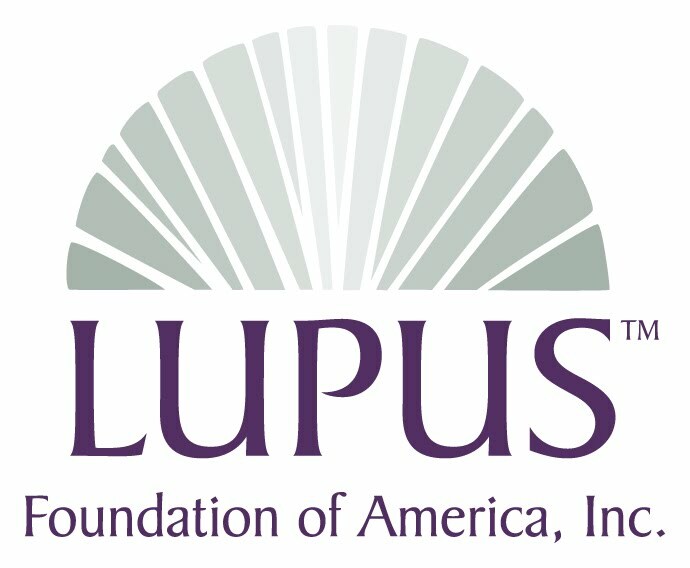 Lupus is a life threatening disease desperately in need of a cure. The state of our foundering, failing and cumbersome Philadelphia Art Community sadly suffers a commensurate acknowledgement. “Finding a Cure” is a common, powerful and profound theme that tethers LFA to the Philadelphia Art Community. Presently, LFA-Philadelphia Chapter is considering our proposal of a LFA/MFA Black Tie Fundraiser. Moving forward, we will continue to solicit business partners and finalize details for the First Annual Lupus/Philadelphia Arts Fund Raiser, to be held in May 2011; Lupus awareness month next year. Historically, the arts have been solicited to support non-profit fundraising. We are ever accustomed to the donated art “for auction” scenario. In this, there exists an inherent and profound acknowledgement of Art’s value. And while we need the help of our non-profit partner to bolster confidence of investors, our larger intent at the Knapp Gallery in partnering with the Lupus Foundation of America is not an attempt to piggyback this sentiment, rather to raise awareness of what we perceive as a life threatening issue to the Philadelphia Art Community. 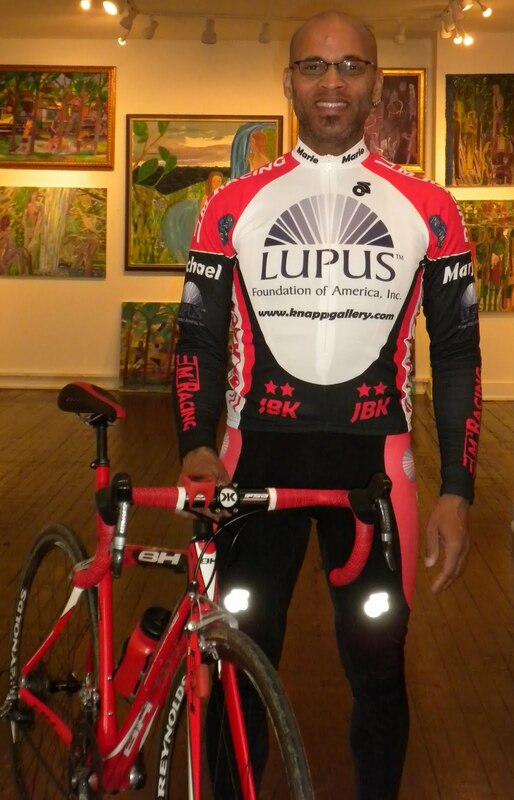 Like the life threatening affects of systemic Lupus, similar anemic symptoms plague the welfare and growth of Philadelphia’s Art Community infrastructure. We are taxed and torn at every turn. The times are tough. We grip the dollar bills tighter these days. Our investments are held closely, always under scrutiny. Maturity asks “what are the costs for storming foreign shores and taking new ground. Our history lesson for the day reminds us we cannot reap where we have not sewn. Here at Knapp we have counted the cost; our campaign for higher ground, creating a self sustaining Philadelphia Art Community, is paid with the commitment to exhibit only the highest level of authenticity. Marian Locks lived with such a conviction. Ultimately, like Marian Locks, we are committed to Philadelphia. Despite also exhibiting international renowned living artists, the majority of Locks’ reputation was built with local emerging talent. I too am a champion for the Philadelphia artist. “Made in Philadelphia,” has special meaning and value for me. This is where I live. This is my home. I look after my own. Unlike our absentee landlord and “The Club”, I won’t seek to generate excessive revenue by taxing the efforts of others. I am here to get the artist with the collector and vice versa. Our acknowledgement of “contemporary” artists is a also our commitment to a lifelong path, a way of living and being; “no art – no life.” Under this banner I am willing to fight, if nothing more than by "voting with my feet." "Voting with your feet" is an expression used in my family that exemplifies the power of casting a vote. We cast our vote by our attendance or lack thereof. By “walking out” or banning an establishment by walking elsewhere, we are casting a vote. Raised by a militant, I am keenly aware of the power of the vote. The short of it, I am voting with my feet. I am voting for the living. My investments and efforts are in painters that are yet amongst the living; above ground.